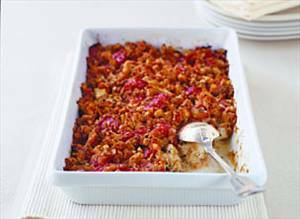 "Hearty and tasty chicken bake that makes for a pleasing easy dinner." No other photos have been uploaded for this recipe. Cashew and panko bread crumb encrusted chicken tenderloins.